CSUTKA WAS SHOT AND HE WILL NEVER WALK AGAIN. Csutka came into our care over the holidays. 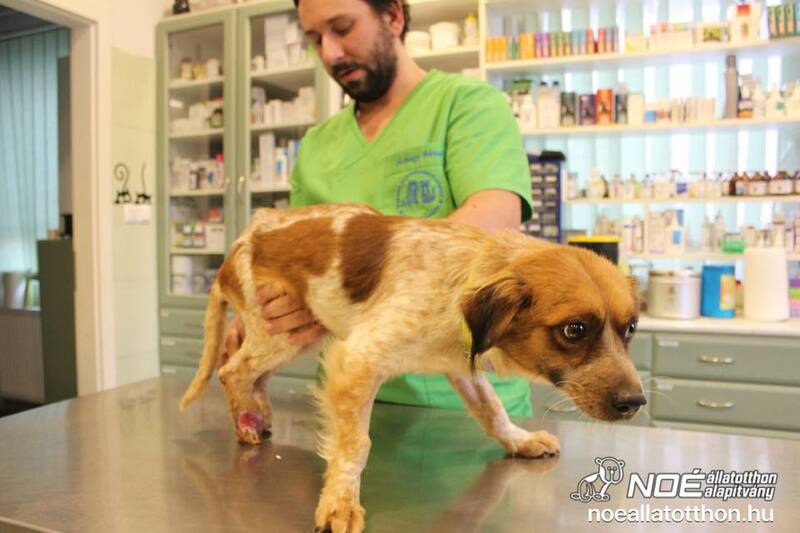 He was in a bad condition and we weren't sure if he would survive the first couple of days. 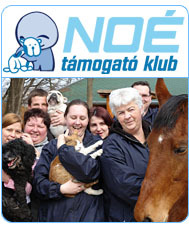 Thanks to the staff of the Juhász Animal Clinic his condition improved and now he in our animal home in our hospital ward. 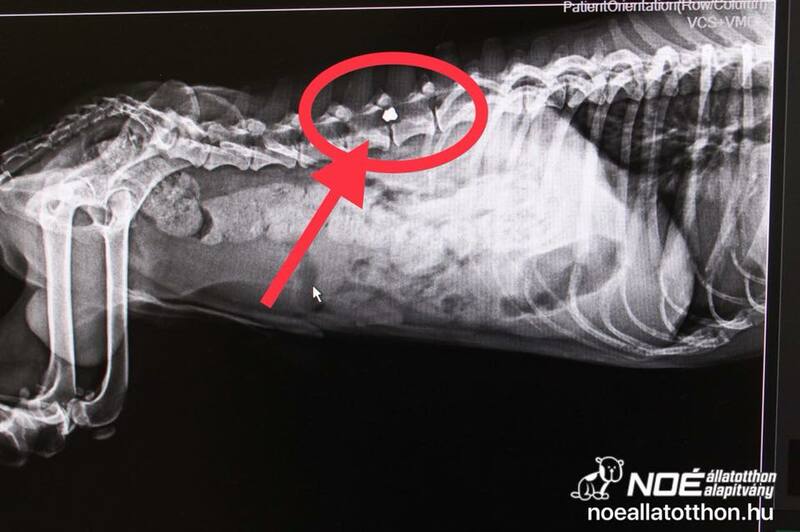 The bullet was lodged in his spine so that is why his two back legs are paralyzed. 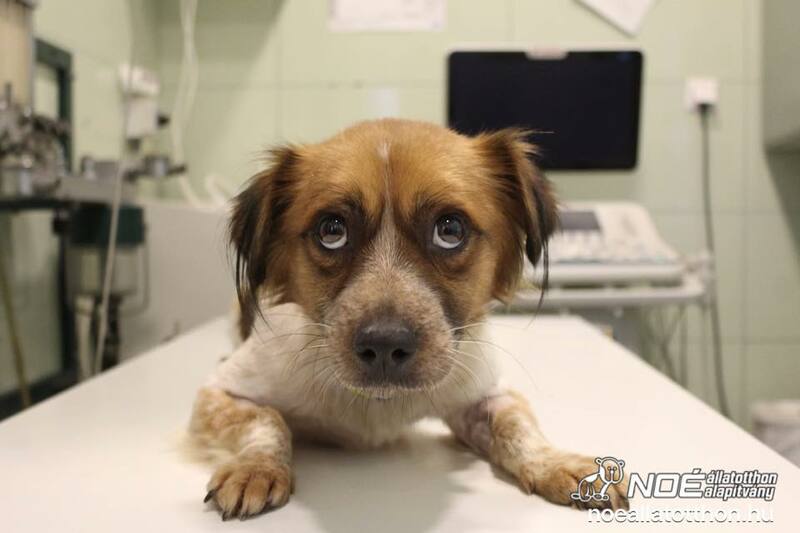 Probably he lived in this state on the cold streets for a couple of weeks before he was found and he came to us. 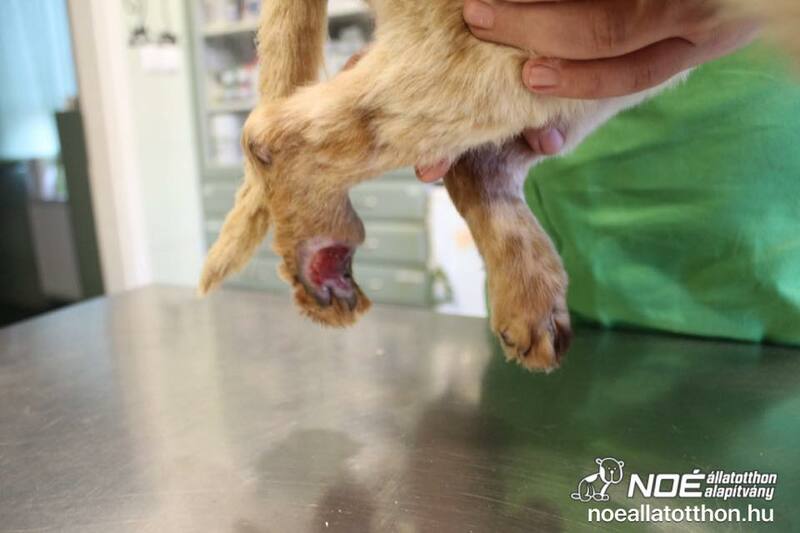 The skin and flesh on his back legs were rubbed off so the bones were showing and he had wounds all over his body. His treatment continues with the help of the Délpest Vet Clinic. He had another orthopedic check up yesterday and the only good sign is that his wounds are healing. It is for certain that he will never walk again on 4 legs. It is hard to find the right words for this horrible unjustice that happened to Csutka. We are sad, mad and we are in despair but we pick up the broken pieces and look into the future. 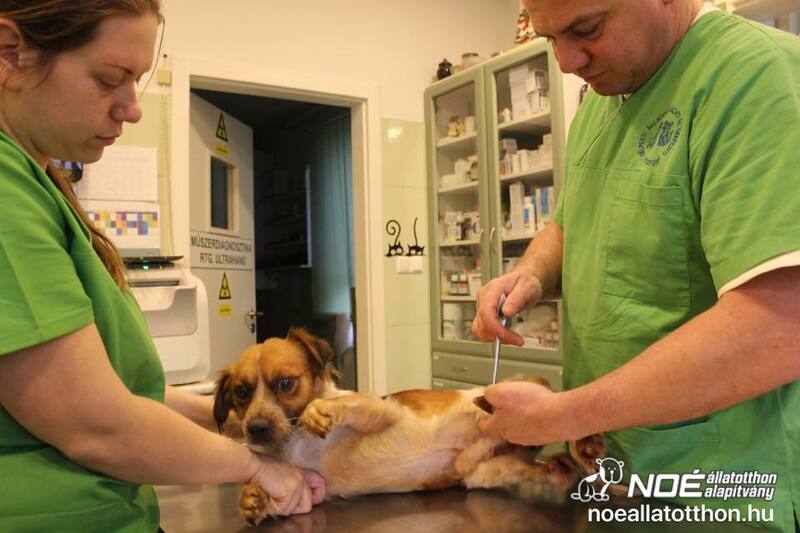 We will heal his wounds, he will be vaccinated, castrated. He will also get his very own wheelchair so he can join Ada and Bütyök and they can run around the office freely and enjoy life together. Please, support his treatment and wheelchair cost!